By leaving the previous tenant’s neon ‘Chinese Restaurant’ sign up, this Korean restaurant hoped to bank on an underlying current of the ‘they all look alike’ mentality to put bums on seats. 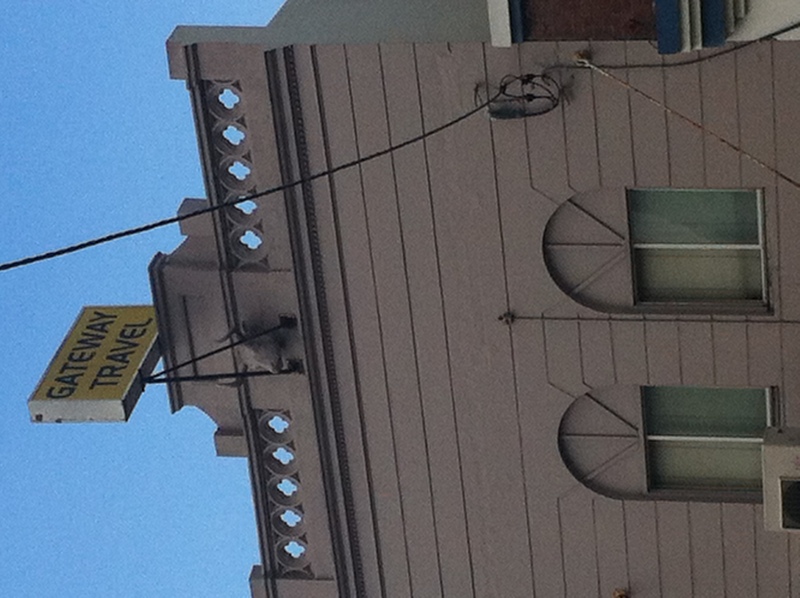 Perhaps it’s a good thing then that they’re no longer in business? 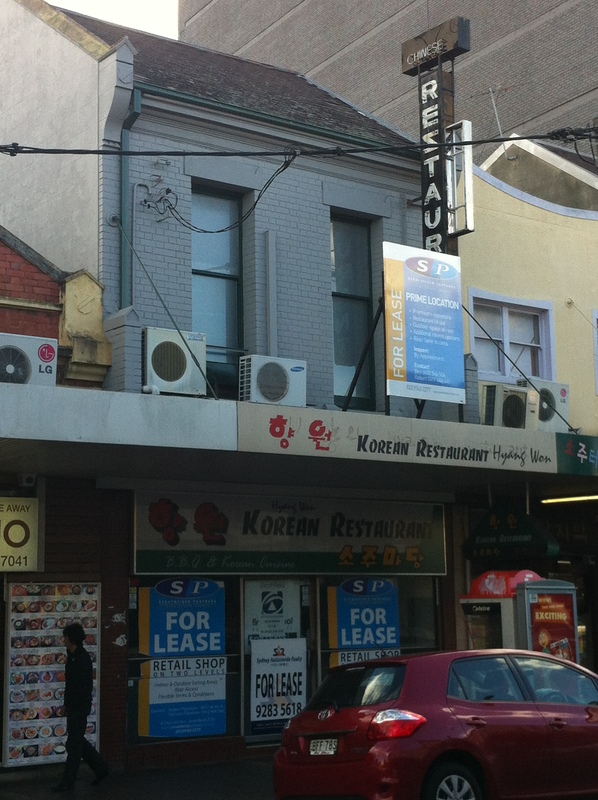 In reality it looks like this restaurant was part of the ‘by the people, for the people’ trend that saw Chinese restaurants originally established to appeal to the more adventurous members of white Australian communities replaced with Korean restaurants designed to cater to the area’s blossoming Korean community…and it closed because apparently, the food sucked. Japanese next time? 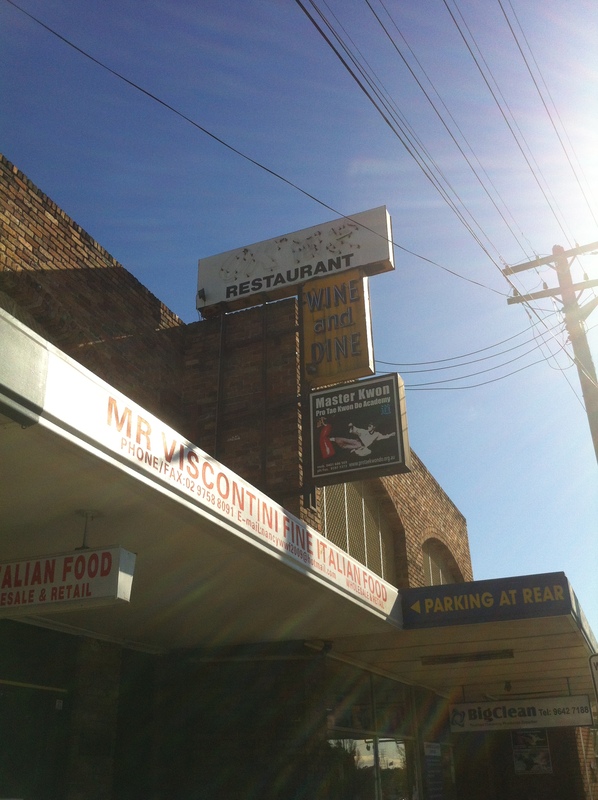 Strathfield’s The Boulevarde is now the scene of intense rivalry. Two culinary entrepreneurs were struck by idea lightning at the same time, and via a series of doubtlessly hilarious coincidences, have ended up with their Korean BBQ restaurants side by side. Fortunately, they were also both lazy enough to leave some traces of the buildings’ former occupants up for us to find. 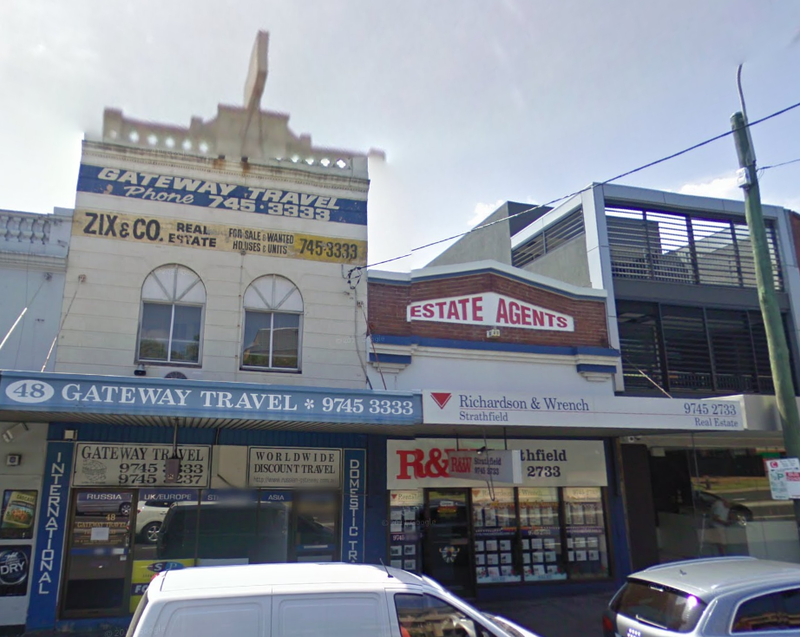 And so we emerge in the distant past of 2009, a time when Gateway Travel and Richardson & Wrench ruled. Gateway looks like it had been there a long time, given the seven digit phone number at the top. 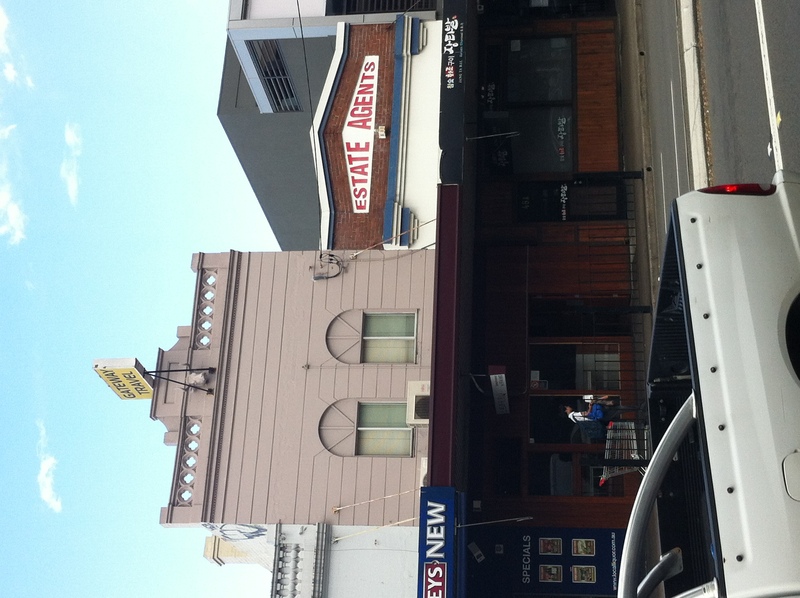 The Zix & Co Real Estate sign suggests a time when two estate agents stood side by side, locked in bitter rivalry…not unlike today’s BBQ brothers. History is doomed to repeat itself. 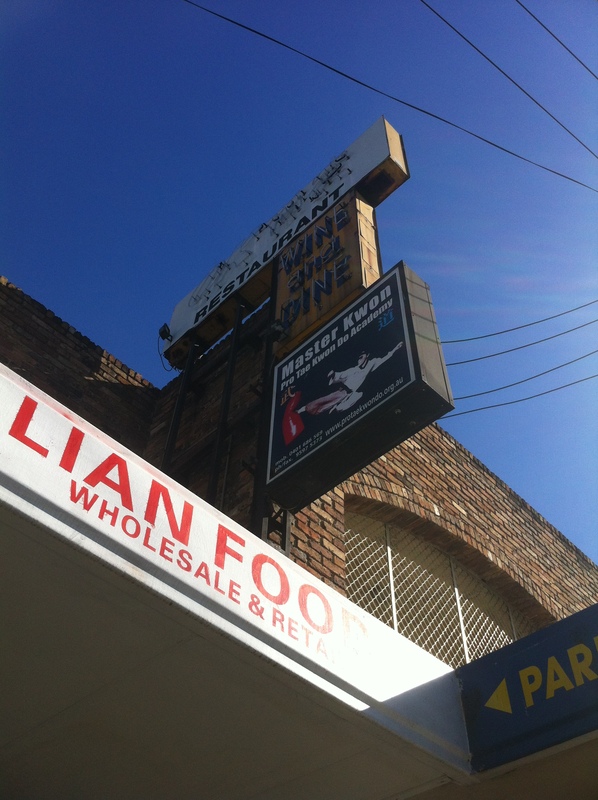 Perhaps its fate as a BBQ restaurant was in the cards all along.